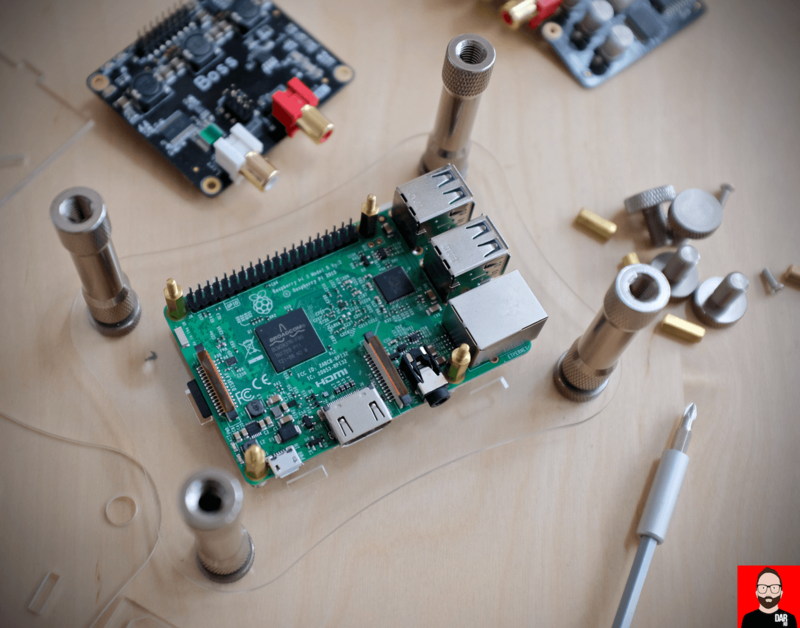 The Raspberry Pi, now at version 3, sells for around €35. A teeny-tiny personal computer selling for a teeny-tiny price and carrying with it price-commensurate internal DAC circuitry. For better sound quality the audiophile must BYO. At first blush, with USB DAC in hand, the Raspberry Pi’s potential as digital streamer appears strong. The undercarriage houses a microSD card to which the OS is written and we get to choose from all manner of digital audio friendly operating systems. Some see the Raspi play music from a directly-attached USB drive. Some do network streaming via UPnP. Some do Roon Bridge. Some even do Roon Core. Others do Squeezebox server / streamer emulation. Where’s the beef? Sadly, as a digital transport, our fruity friend doesn’t sound so hot. With the Raspberry Pi 3 running the auto-Roon-Ready Ropieee outputting via Curious USB cable to the Peachtree nova300’s internal DAC, I hear a sound that’s lean and a slightly mean. Compared to the AURALiC Aries Mini’s USB output, the Raspi’s tonal colour is a little greyer and its microdynamic avidity weaker. A USB-S/PDIF converter gets us ‘round the Raspi’s audible limitations. More compact and more affordable than outboard solutions is ALLO Digital’s DigiOne HAT board (US$99) that drops onto the Raspi’s 40-pin GPIO header to sidestep USB cable and (possibly) another wall wart. A tidy all-in-one solution that sounds terrific – read that review here. Why does the Raspberry Pi 3’s USB output sound so poor? 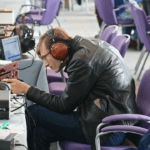 Digital audio data dispatched via any one of its four USB ports will land at the downstream DAC’s USB receiver chip fully intact but the arrival timing errors of those ones and zeroes – jitter – affects what we hear through our loudspeakers and headphones. One can hear jitter’s SQ degradation from all but the weakest of audio setups. Wait a sec! Didn’t our DAC manufacturer tell us jitter would be eradicated by their unit’s super-accurate (Femto) clocks – also known as oscillators – and data buffer? The emotional simplicity of this data buffer/reclocking message is seductive (and real) but it’s only half the story. There exists a second digital audio bogeyman: electrical noise – environmental (RFI) or source dependent (EMI) – which can hitch a ride on the USB cable to disturb the D/A converter’s sensitive electrical circuitry. The Raspberry Pi is a source of electrical noise. So too is the USB cable that joins it to the DAC – it acts as an aerial to RFI. Moreover, I’ve heard it from more than one DAC manufacturer that a USB receiver chip will engage additional layers of otherwise dormant circuitry when faced with a super-jittery incoming data stream. Circuitry that when engaged introduces more electrical noise to the system. This dovetails with a high end server manufacturer’s thoughts on why Ethernet cables don’t all sound identical: yes, Ethernet offers in-built error correction – zero packets are lost – but the harder the Ethernet receiver has to work to correct errors, the more likely additional error-correcting circuitry is called into action and the more electrical noise is introduced to the system. Never mind all that for now though. Ethernet receiver-induced noise might trouble the Raspberry Pi 3 but before that we have bigger fish to fry. For starters, the official 5V wall wart is a cheapie made with zero consideration for electrical noise piped into the Raspberry Pi 3 and also sprayed back into the mains. I run my Raspi units with iFi Audio’s €49 iPower – a wall wart designed explicitly to lower electrical noise. It renders the afore detailed Raspi + ALLO DigiOne digital transport two-fer a little smoother in the top end. Just a little. 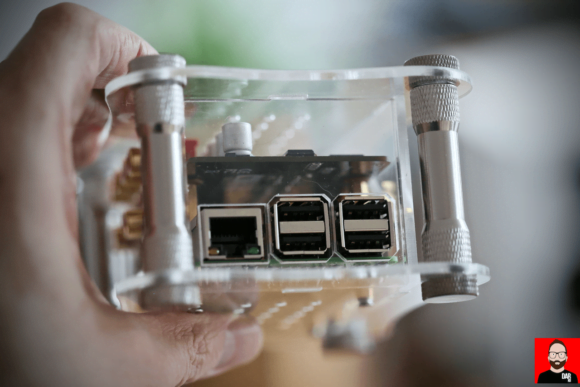 Secondly, each of the Raspberry Pi 3’s four USB ports sit on the same data bus as Ethernet. The USB ports’ greater exposure to more data whizzing back and forth is another potential source of electrical noise. Some of this ‘loud’ behaviour can be filtered out by the price appropriate AudioQuest JitterBug (€49). 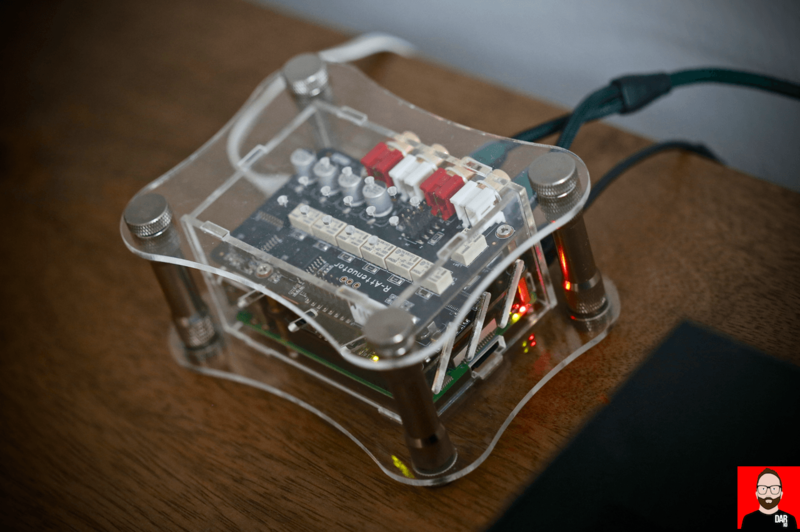 Sat between Raspberry Pi 3 USB and AudioQuest DragonFly Black and hooked into a modest system – a Rotel RA-10 amplifier driving ProAc Tablette 10 Reference loudspeakers – the JitterBug improves that all important sense of ease. Just a little. Still – the Aries Mini’s analogue output remains more aurally satisfying, particularly on bass propulsion – even more noticeable when the Rotel integrated’s 3.5mm headphone output took to dancing with the rather splendid sounding Final Sonorous III. That the standalone AURALiC still wins out is consistent with earlier findings: that a patch might not be as effective as going ground up with low noise circuit design. Notice how we’ve shifted operational modes? My Raspberry Pi 3 is no longer deployed as a digital streamer but an all-in-one with direct-connected USB DAC. In this instance, the Curious USB cable has been swapped out for an electrical noise filter. And that long, meandering introduction brings us -finally – to the subject of this review: ALLO Digital’s Raspberry Pi-focussed alternative to USB DAC: for a very compact US$59. Put the Raspi + Boss DAC in ALLO’s bespoke acrylic case for an additional US$14. Your choice of purple, black, blue or clear. We know that ALLO’s DigiOne S/PDIF HAT board delivers price expectation-busting performance. Consult the Netherlands’ number one hifi vlogger Hans Beekhuyzen for a second (favourable) opinion. Could the Boss DAC turn similar tricks? 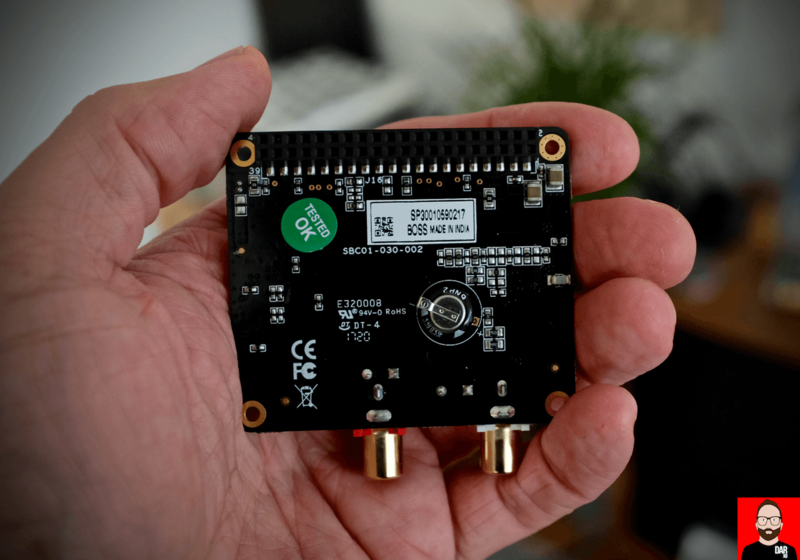 This DAC HAT’s first design smart concerns data clocking. According to ALLO, the Raspberry Pi 3’s CPU generates only a “very close” 48kHz family clock to leave 44.1kHz sample rate families at the mercy of internally calculated maths. The ALLO board attaches directly to the Raspberry Pi’s 40-pin GPIO riser to receive power and audio data but also to send clock data. This clock re-injection is why ALLO refer to it as a “Master” DAC. The appropriately named Boss takes charge of data timing by swapping out the Raspi’s own clock data with its own, here generated by two on-board “dual low jitter” NDK crystal oscillators from Japan – one for each sample rate family, 44.1kHz and 48kHz. (Look for the pair of silver squares to the right of the gold-plated RCA sockets). 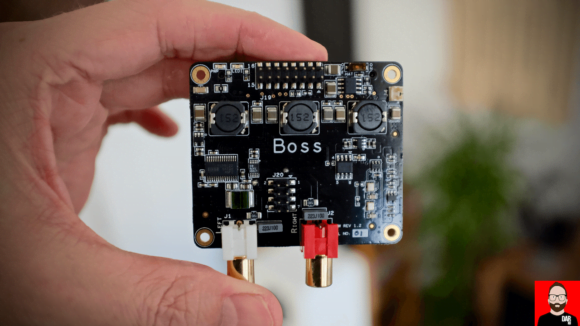 The Boss has also been designed to tackle electrical noise. Raspberry Pi-derived power coming up from below through the GPIO header is sub-divided into three lines – digital circuitry, analogue circuitry and clocks – and then filtered. Look for the trio of black towers above the printed ‘Boss’ on the upper side of the board. A second power filter is then applied to “further quiet the noise”. ALLO are keen to point out that they “use some of the best LDOs on the market (LT3042 from Linear).” A quick Google tells us LDO = low dropout regulator. More techy stuff: feeding the 32bit/384kHz-capable Texas Instruments PCM51122 DAC chip is “quiet DC” from a film capacitor. And for the analogue output stage ALLO have additionally specified a supercapacitor – the big silver round thing on the underside of the board – to assist with macro dynamic swings, particularly in the bass, when the music demands it. I carefully pushed the Boss DAC onto the Raspberry Pi 3’s I2S-talking 40-pin connector and routed its RCA outputs to the Rotel/ProAc system with a price appropriate AudioQuest Forest interconnect. The Raspi running Ropieee takes around 30 seconds to boot and initialise before it shows up on the network as a Roon Ready endpoint. The third board you see in the photos – the one with 4 x RCA sockets – is ALLO’s RA Attenuator (US$55), a surprise inclusion with the Boss DAC review unit. By way of an additional analogue interconnect, it receives the Boss DAC’s output to apply analogue domain volume control using thin film resistors according to digital ‘marker’ signals coming from the Raspberry Pi sitting two storeys down. Useful for those who want to add pre-amp functionality to the Raspi bundle but sidestep the deleterious effects of deep digital domain attenuation. However, with the Rotel integrated already doing volume turns, the RA attenuator could only subtract from the Boss. Time to hit play on a DAC-direct signal. Robyn Hitchcock’s eponymously titled 2017 album, this time out recorded with a full band, is his liveliest in years. The AURALiC Aries Mini makes a very decent fist of it, favouring detail and treble extension over the Boss DAC’s more hooded but meatier take – it gets the preference nod here. It’s the Boss DAC’s tendency to push connective tissue over detail that makes it better suited to drier, more brittle-sounding source material like this oft-boisterous Hitchcock long player. The Boss doesn’t add warmth – it just sounds exceedingly well balanced. A long way from the treble etch or reflexive joint rigidity of your average US$50 standalone D/A converter. And also quite the distance from the far superior soundstage depth and inner spaciousness served up by more expensive DACs like the Chord Hugo2 or Aqua La Scala MKII (even when fed USB-direct from the Pi’s noisy USB ports). Back at the entry-level and with the big room techno of Scuba’s Fabric 90, where forward heft comes pre-packaged, one’s preferences might fall in the other direction: the Aries Mini offers a little more stage depth and slightly better image focus lock than the ALLO/Pi. 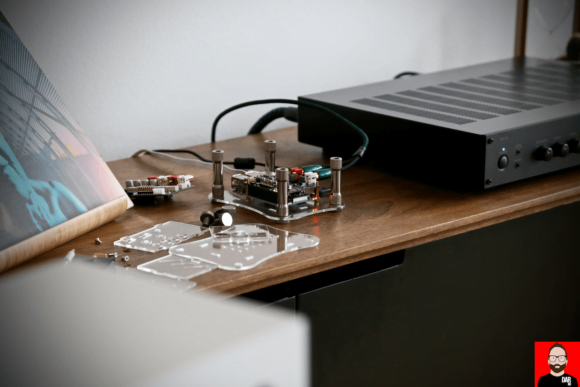 I say ‘might’ because listeners whose systems – headphones or loudspeakers – coming up a little short on top-to-bottom acoustic mass would benefit from the Boss DAC’s extra solidity. Forced to make a choice on which unit should be gifted to a friend at no cost to myself, I’d have a tough time making the call on sound quality alone. Yet this A/B isn’t about one streamer versus another; it’s to highlight the prowess of the Boss-loaded Pi without resorting to horrible cliches like “punches well above its weight” or “competes with products two or three its price”, both of which are 100% true for the ALLO DAC board. On functionality, AURALiC’s Aries Mini offers selectable DAC filters, S/PDIF outputs and a highly listenable USB output. Its fixed (but upgradeable) operating gives us UPnP/OpenHome and Roon Ready streaming but also self-contained file serving from an SSD installed to its undercarriage. 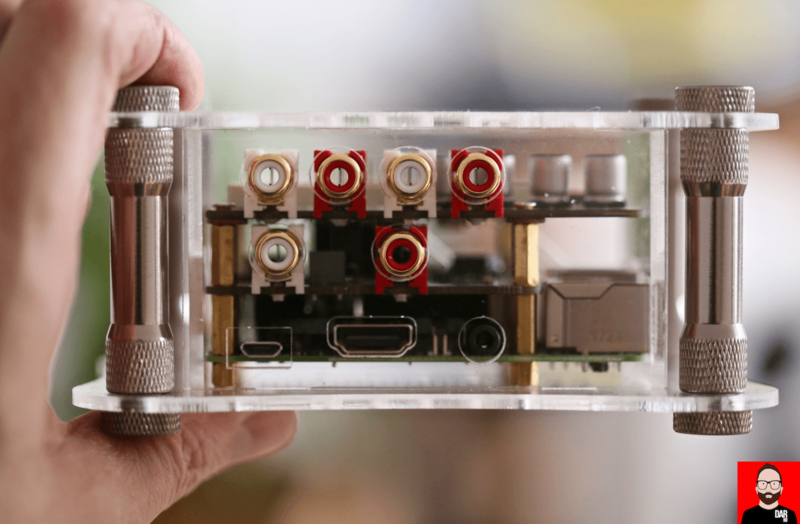 The Boss DAC-loaded Raspberry Pi 3 can be all of these things – and more. New functionality is only a microSD card away: UPnP, local file playback, Roon or Squeezebox. Such is the beauty of community developed open-source Linux operating systems. Unlike ALLO’s see-through acrylic case which is gives more to function than form. The AURALiC’s aesthetics are infinitely more pleasing. It’s when we look at the numbers that the Boss DAC’s audible performance really hits home: US$35 for a Raspberry Pi 3; US$59 for the Boss DAC board; US$14 for the acrylic case; ~US$7 for an 8Gb microSD card. Totalled, we’re looking at a little over a Benjamin. Stir in the iFi iPower (US$49) for a smidge more audible ease or the RA Attenuator (US$55) if going direct into a power amplifier. Fully tricked out we’re looking at just over two hundred clams. 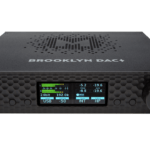 However we break it down, a Boss DAC-d Pi hits the wallet with considerably less impact than the US$499 demanded by the Aries Mini. That’s enough value quotient pressure to give us pause before dropping cash on any DAC/streamer selling this side of a thousand bucks and with the possible knock-on effect of keeping the high/er-end honest. 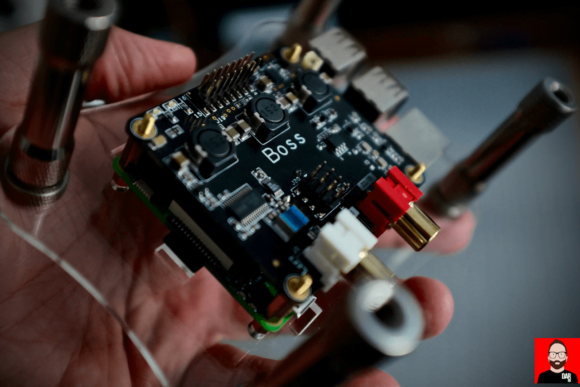 As streaming starting points go, rarely do they come as compelling as or as affordable as the Boss DAC back-strapped to a Raspberry Pi. Round ‘ere, such bang for buck equates to a sucker punch. 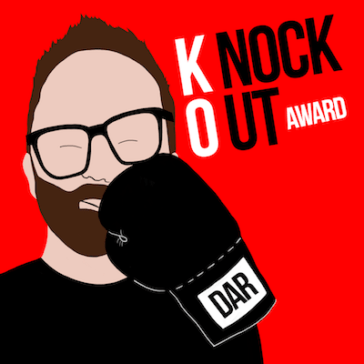 Wallop! “As our magnificently tempered autumn leaves, we can feel the winter approach. Price? “Small bump up; about 15%.,” says Strul. Even if it were to sound identical to the version under review here, the Boss v1.2 would still be one of the biggest bargains in all of digital audio.